A great custom designed knife. 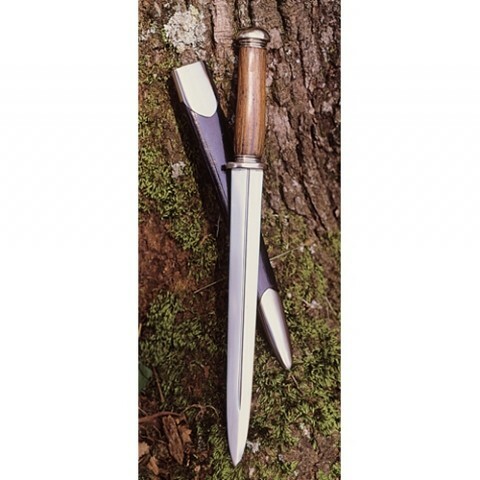 Light,long, thin double edege fullered blade. 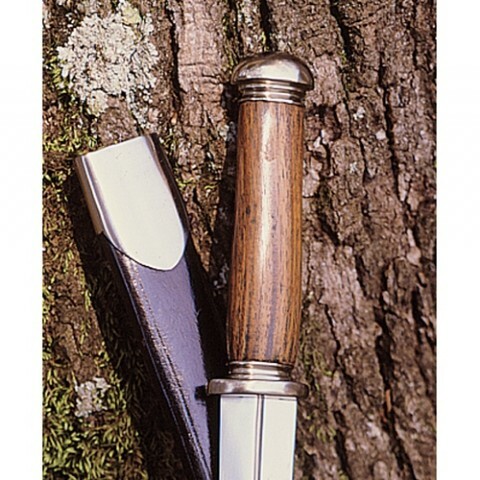 Durable and attractive solid hardwood grip. Steel parts to balance the look. Comes with black leather scabbard wiith steel throat and tip.